November 12 2015. 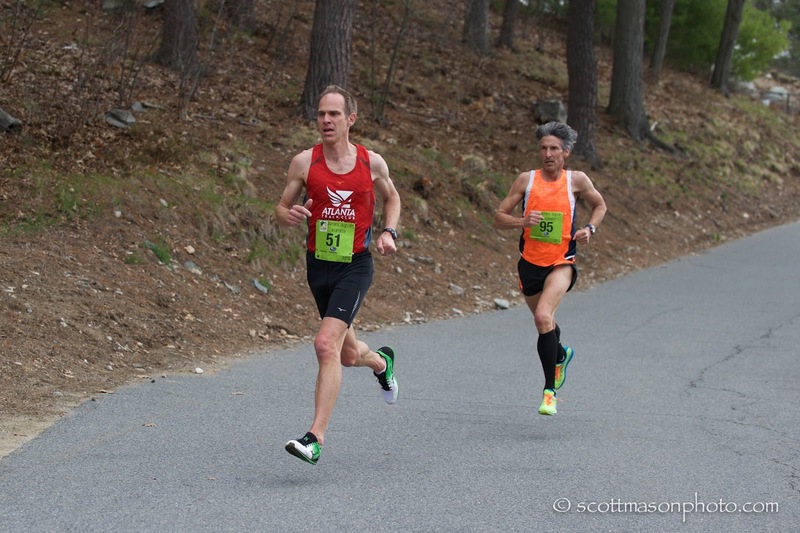 Top Masters runners are converging on Alexandria, Virginia this coming weekend for the final road championship on the 2015 Masters Grand Prix circuit, the Neustar .US National (12K) Road Race. The athletes are chasing $10,000 in prize money as well as Grand Prix points.Some may e able to lock up GP wins or places this weekend; others will need to slug it out to the end by competing in the final event of the season, the National Club Cross Country Championships in San Francisco in mid-December. Masters Records. 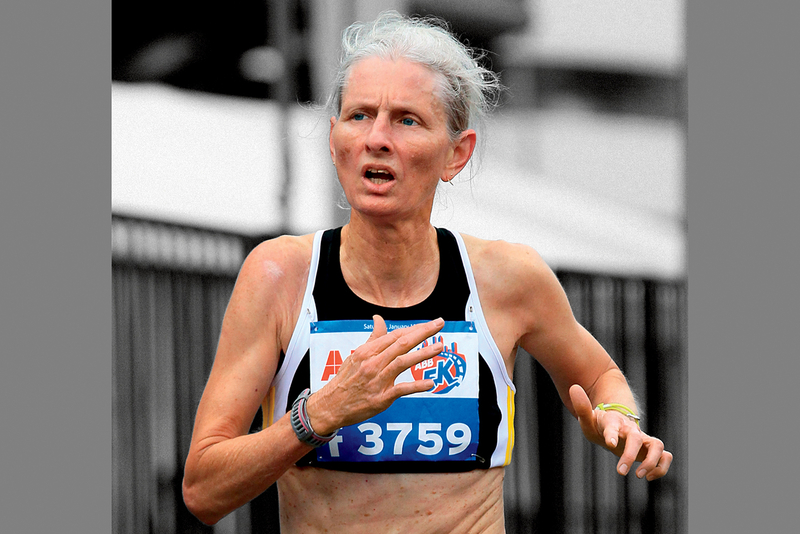 Three women athletes are a threat to Masters 12K records. Three-time Olympian, Jen Rhines, is entered in the Open Elite race but is eligible to break the US Masters 12K record, as she did last year, running 40:31. Her goal this year is to finish in the top 10 in the Open race and given the strong competition, thinks it will take a faster time to reach her goal. Kathryn 'Kathy' Martin broke the women’s 60-64 record last year, lowering her own record by 5 seconds to 48:54. Sabra Harvey should break the women’s 65-69 record of 55:15. She maintained a faster pace in her 15K victory on a very tough course 2 weeks ago. Doug Goodhue broke the men’s 70-74 record last year but a repeat seems less likely this year; he has been battling injuries off and on all year. Age-Grading. The top two women runners are Hall of Famer and defending champion Kathryn Martin and 2014 Masters Runner of the Year Sabra Harvey . Both missed races earlier this year but have come back strong. Martin, 64, won the USATF 5K Age Grade Championship in early October at the Syracuse Festival of Races with a 19:24 for a 100.46% score. Harvey, 66, ran a very tough 15K course at the USATF 15K Masters Championships at the Federal Credit Union Tulsa Run in 1:07:12 for a 96.06% score. If both run their best 12K, the age-grade race will be tight indeed. Others in the hunt include Heide Moebius, 76, Edie Stevenson, 66, and Carmen Ayala-Troncoso. The top two men currently registered are Tom Bernhard and Kristian Blaich with Rick Becker, Tom Dever and Doug Goodhue likely close competitors. 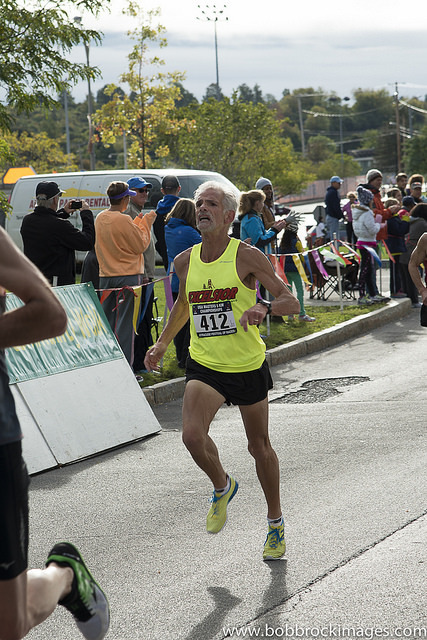 Bernhard, 64, had the upper hand over Blaich, 49, in the 2015 USATF 5K Championship, 93.82% to 92.37%. Becker, 61, is a wild card in that he beat Bernhard in age-grading at the USATF 8K Championship in late February but disappeared from the scene until this race. If he is close to full fitness, he is a threat; last year he finished 4th in age grading here. 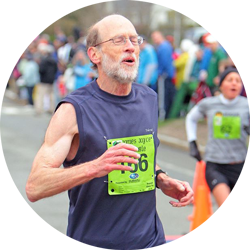 Dever, 58, ran 1:17:12 in the USATF Half Marathon Championship on May 31 for a 90.72% and this past weekend ran a 16:55 5K for a 92.86%. 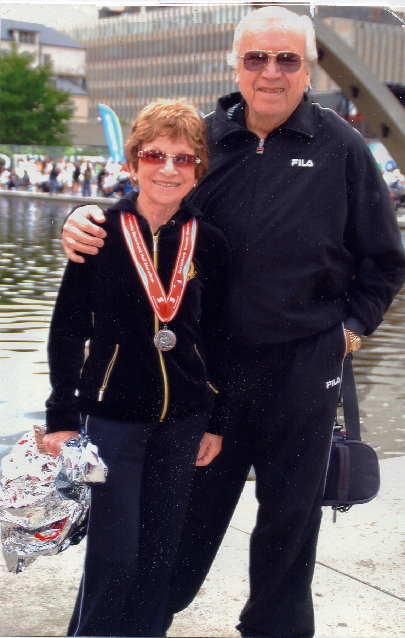 Overall Masters Winners. The men’s favorite must be defending champion, Michael Wardian. He has run so many marathons this year, however, not to mention an ultra marathon, that one would think he would have heavy legs and be vulnerable. If so, USATF Masters 10K Champion, Kristian Blaich, is the most likely challenger. and Philippe Rolly may give Blaich a battle. Blaich finished 19 seconds ahead of Rolly at the USATF 5K Championships. Perry Shoemaker is the defending Women's champion. In fact, she won in 2013 in 44:14 and last year in 42:54. If she keeps improving like that, she will be unbeatable. Sonja Friend-Uhl should press her for the crown. She won her age group in the 800, 1500, and 5000 meters at the USATF Masters Outdoor Championships, finished 2nd to Jen Rhines at the Peachtree 10K in 36:44 and a few weeks ago ran a 10K in Bowling Green KY in 36:10. Late-breaking update: Jennifer Stuber has just entered for Playmakers Elite. She ran 35:54 in the Big Ten 10K in Chicago in July. That makes her a real threat. Age Group Competition. There is terrific competition in just about every age group. In my preview I typically only mention 3 or at most 4 runners but usually there are several extremely talented runners who are just off the pace of those mentioned. I love it when they excel and upset my predictions! Hats off to all who compete! 40-44. Sonja Friend-Uhl (Atlanta Track Club) will take on the defending champion, Perry Shoemaker. Shoemaker is from Viennna VA so this is on her home pavement. Shoemaker took the age group and overall Masters crown last year in 42:54 and her recent outings suggest she will be a formidable opponent for Friend-Uhl. 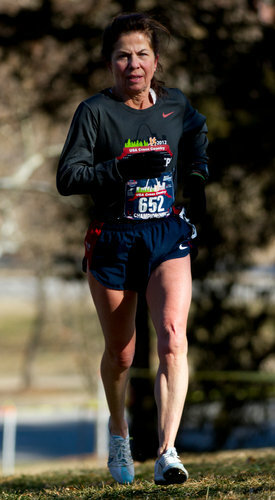 She won the Army 10 Miler in October in 57:31 and ran a 10K 2 weeks ago in 35:29. Friend-Uhl took the Medical Center 10K in Bowling Green Kentucky in mid-October in 36:10 and is the 2015 800M, 1500M, and 5000M Masters Champ on the track. And she displayed her staying power with a 1:21:06 in the Naples Half Marathon in January. Brenda Hodge (Pike Creek Valley Running Club) and Alice Kassens should have quite a battle for 3rd. Hodge ran 1:25:29 at the Akron Half Marathon in September while Kassens recorded a 1:26:42 at the Myrtle Beach Half Marathon earlier in the year. [Late-breaking update on Jennifer Stuber-see above--Stuber should challenge for the podium.] 1-Shoemaker, 2-Friend-Uhl, 3-Stuber. 45-49. Cassandra Henkiel is the favorite at this point. 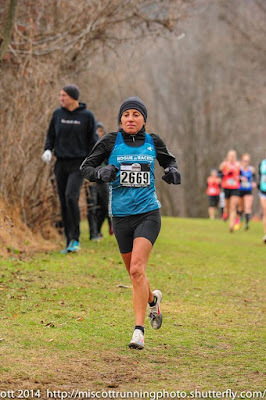 She won the overall Masters title at the USATF 8K in Brea in February and took her age group in the USATF 5K Championships in Syracuse. Audra Naujokas-Knapp, who finished 2nd in 51:08 last year is another late entrant and should take 2nd again. At this point, two runners from the Philadelphia Masters team are entered, Linda Kelnock and Kristine Longshore, Although neither would consider themselves an elite Masters runner, if there are no other entries, I would pick Kelnock for 3rd and Longshore for 4th. 1-Henkiel, 2-Naujokas-Knapp, 3-Kelnock. 50-54. Alisa Harvey is the defending 45-49 champion in a scorching 47:47. This is her first year in the 50-54 group and she is the favorite. 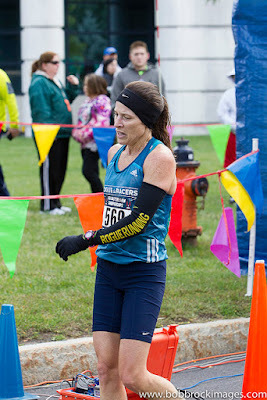 In early October she took the Army 10 Miler crown for her new age group in 1:04:37 so she seems ready to roll. 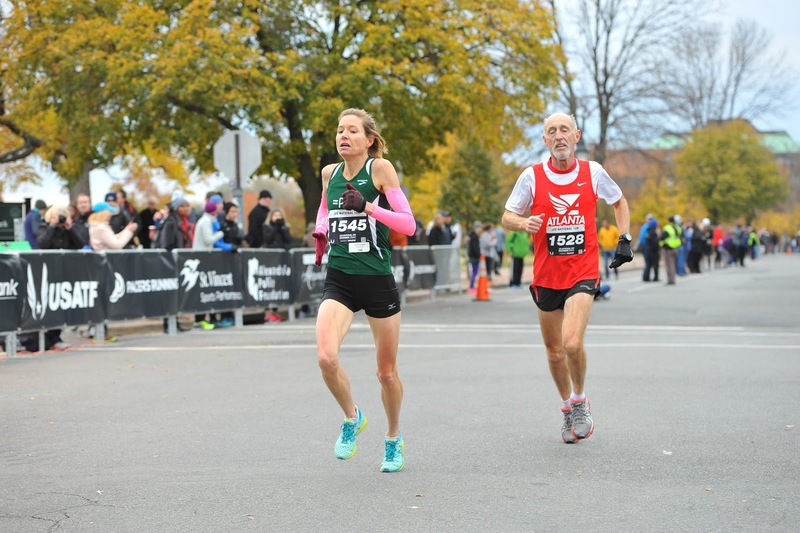 Lorraine Jasper who took 2nd at the Syracuse 5K in 19:53 will have to contend with a newcomer, Darcy Strouse, who took 1st in the National Senior Games 5K run in 19:31 and finished 2nd in the 10K in 41:01. 1-Harvey, 2-Strouse, 3-Jasper. longest race since she ran a 10 miler in 2013 but she should have no trouble claiming the crown and will likely be up among the age-grading leaders as well. Diane Rothman and Julie Hayden could be driving toward the finish line in step. Hayden ran a 21:11 5K on November 5th. Rothman's best recent 5K is a 21:47 in June. But she also ran a 37:34 5 Miler in May. Colleen Magnussen could also factor in; she took 2nd in the USATF 5K in 21:59. Kathy Haubrich is a wild card. She apparently has not raced since 2012 but she did run 37:47 in the USATF 8K championships that year in Williamsburg VA. 1-Ayala-Troncoso, 2- Hayden, 3-Magnussen. 60-64. Kathy Martin is the hands down favorite in this group; the only questions are whether she will lower her own age group record of 48:54 and whether she will break the 100% barrier in age-grading. Apparently any time under 49:33 will do it for the swift 64-year old. * Last year Coreen Steinbach finished 2nd to Martin in this race in 55:56. Recently she finished 2nd to Martin at the USATF 5K Championships in Syracuse, running a 22:01. That's pretty fancy stepping and no shame to lose to a Hall of Famer. Unfortunately for Steinbach, Elizabeth Cooney has moved up from the 55-59 group. Last year she took 2nd here for that group in 52:59. Earlier this year she took 2nd in the 55-59 group at the USATF 10K Championships in Dedham MA in 44:50. 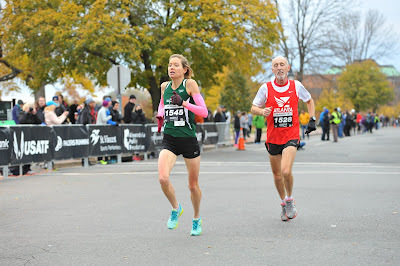 And she demonstrated good staying power with a 1:40:05 at the BAA Half Marathon in mid-October. Late entry Sharon Moore should factor in as well. 1-Martin, 2-Cooney, 3-Steinbach. 65-69. Sabra Harvey should take this group by several minutes and set an age group record. She needs 55:19 for the record and a 51:00 for a 100% age-grade score. * Edie Stevenson should be a good bet for 2nd. She won the age group in Syracuse with a 21:34 time in Harvey's absence, and took 2nd in the 60-69 division at the Bolder Boulder (10K) in 47:15. Erika Campbell finished 2nd to Stevenson in Syracuse in 22:34 and that is good enough for me to pick her for 3rd. She has not run a distance this long this year but she ran a couple of 10Ks in the mid 40's in 2014. 1-Harvey, 2-Stevenson, 3-Campbell. 75-79. Defending champion, Heide Moebius, who won last year with a 1:05:01, will try to make it 3 in a row at Alexandria. She has a strong rival in Margaret Hoey but Moebius should get her 'hat trick.' Hoey completed a 5-mile run in 53:21 on October 25th and a 10K in 1:05:44 on November 1st so she is ready to roll. 1-Moebius, 2-Hoey. Heide Moebius, with Husband, Richard, after breaking 70-74 record at Toronto Half Marathon in Fall 2010 [photo from:http://lancasteronline.com/sports. Story on April 17 2011. 40-44. Michael Wardian is the defending champion in 38:24. 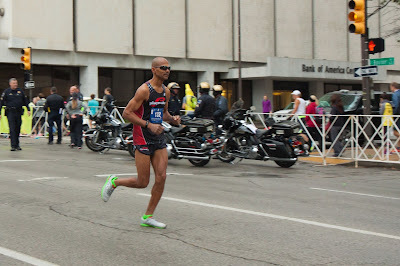 Earlier that fall he finished 2nd in the USATF Masters Marathon Championships in the Twin Cities. 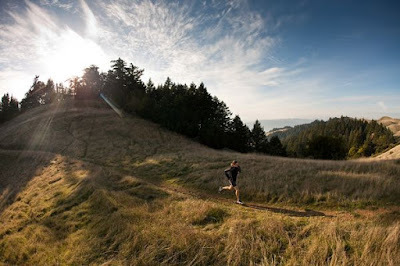 This year he has run at least 9 marathons, 1 ultra-marathon and 1 50K race. He ran 2:27:20 at the Boston Marathon on April 20th and 1 week later finished 2nd overall in the Big Sur International Marathon in 2:33:04. He ran a Marathon on October 10th but given his record this year, may have gotten bored in between and run one even more recently. If his legs are at all heavy, he will get plenty of competition from Philippe Rolly who ran 16:10 at the USATF 5K Championships and Thomas Carroll who ran a 16:13 5K in August and, more recently finished 2nd in the 40-49 division at the CVS Downtown 5K in 16:40. 1-Wardian, 2-Rolly, 3-Carroll. 45-49. Kristian Blaich is clearly the favorite with a 15:51 at the 2015 USATF 5K Championships and a 33:22 Masters win at the USATF 10K Championships but it is fair to note that this is a chalenging distance for him. For the most part he stays within his strongest distances, 5K to 10K. Nonetheless he should take this group. And it could be 1-2 for the Atlanta Track Club. Matthew Whitis ran a 16:46 5K at Syracuse, a 37:25 at the Peachtree 10K, and showed his tenacity with a 59:18 on a tough, hilly 15K at Tulsa. Whitis could be pressed by Doug Mock who ran a 17:49 5K on Oct 24 but a 16:55 5K in May. 1-Blaich, 2-Whitis, 3-Mock. 50-54. Eric Stuber is the defending champion, winning last year in 41:04. Ruben Henderson who finished 2nd in 42:37, and Jeff Haertel who took 3rd in 43:03 are also back to try for the podium. Francis Burdett and Daniel Dixon who were not here last year, will try to contest the issue. 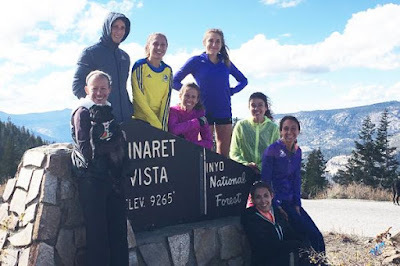 Burdett was winning everything in sight in the first quarter of the year, taking the age group crown at the USA Cross Country Championships in Boulder CO and winning at the USATF 8K in Brea CA in 26:50. Whether due to injury or just burn-out he finished 6th at the USATF 10K championships in 38:29. More recently he seems to be racing himself back into contention. He ran a gutsy 54:24 in the USATF 15K in Tulsa, hanging tight onto a faster runner for the first 10K and then gritting his teeth to finish off the 2nd place effort. Dixon ran a 5:09 at the USATF 1 Mile Championships and took 3rd in the age group at the USATF 5K Championships in Syracuse with a sterling 16:51. Stuber has shown his speed at the 1 mile championships, running a 4:59, but has been running in longer races mostly. His most recent effort was a nifty 1:15:57 at the Myrtle Beach Mini Marathon on October 17th. Henderson finished in a dead heat with Stuber at the 1 mile championships so his leg speed is good. 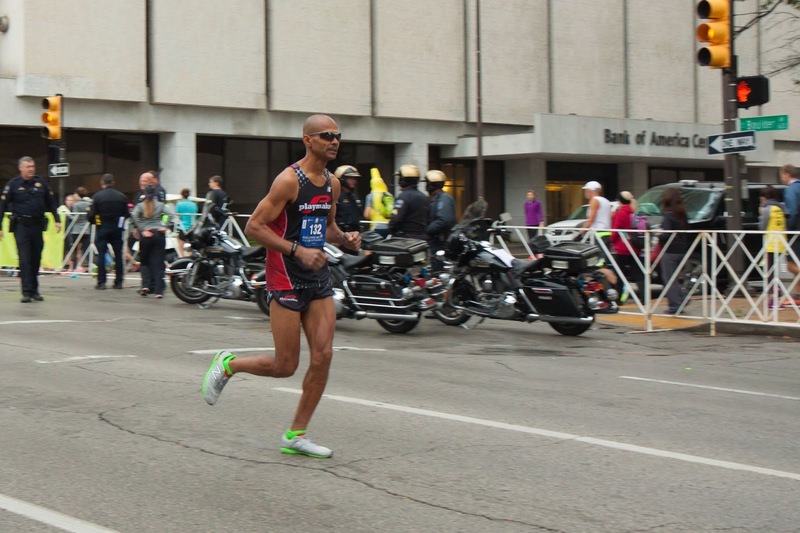 He worked on his endurance, running a 1:18:13 in the Columbus Half Marathon on October 18, turning around to run a 57:04 15K on the tough Tulsa course on October 31st. Haertel ran a 1:22:35 half marathon on October 25th. Other contenders include Jean-Christophe Arcaz who finished 4th last year in 43:47. Mike Nier of the Genesee Valley Harriers is a late entry who will definitely contend. He took 2nd in the age group at the USATF 5K this year in 16:39 behind Nat Larson who is skipping this race 1-Stuber, 2- Nier, 3-Burdett. 55-59 This is another tightly contested group. Ken Youngers is the defending champion, winning last year in 42:46. A newcomer successfully challenged Youngers in the 2015 USATF 5K championships, however. Dave Bussard took 1st in 16:55. Youngers struggled home in 17:33 but I learned after the fact that he was recovering from a hamstring issue. Youngers won his age group in a 10 mile run on October 25th in 1:01:59; that is nearly 3 minutes faster than he ran last year as a tune-up for his victory in this 12K. So Youngers should offer more competition to Bussard in this race. But there is another wrinkle. Also in the field for the first time is Thomas 'Tom' Dever who has been having a heck of a racing year. He finished 4th in the USATF Half Marathon Championship in San Diego this past May in 1:17:12 and took his age group in the USATF Marathon Championships in early October in 2:49:46. And just to show that he has recovered his speed, he jumped into a 5k last weekend and took his age group in 16:55. This one's a killer to pick; a good argument could be made for reach one of them to win it. 1-Bussard, 2-Dever, 3-Youngers. 60-64 This and the 50-54 group have the most entries at 20 each. Like that group this one is also packed with talent. The defending champion, Tom McCormack is still out with injuries. But the runner who finished 2nd in 44:16 in that race, Rick Becker, is entered. Becker was beaten by over a minute in that race but to his credit, Becker trained harder and came back at the USATF 8K Championships in February and beat McCormack at the tape. I thought it was a great beginning to a year where we would see these two great champions going toe to toe at a series of races. But it was not to be. McCormack sustained an injury shortly thereafter and despite an apparent recovery in mid-summer suffered another setback that has kept him out for the remainder of the year. And Becker, whether from injury or other reason, has also been absent from the roads. The only race result I can find is for mid-August; he ran a 10K in his native state of Washington in 35:55, the first runner in over the age of 46. And then no races between then and now so he is a bit of a mystery. There are 4 other runners who deserve special mention. Tom Bernhard lost to Becker in February in the USATF 8K but has beaten all comers in the USATF 1 Mile, 5K and 15K championships this fall. 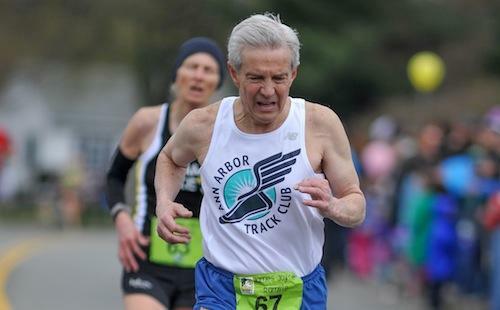 65-69 The defending champion and 2014 Age Group Runner of the Year, Lloyd.Hansen, who won last year in 47:36, should take the division with no trouble. Hansen has not been running quite as fast this year and was upset by Ignacio Jimenez in two early events. This fall, however, Hansen has won the USATF 5K and 15K championship in 18:59 and 1:01:51 respectively. Jerry Learned finished 3rd last year in 52:08 and appears to be set to run a similar time this year; that should net him 2nd place. Learned ran a 20:55 at the USATF 5K and a 1:10:25 at the USATF 15K so he appears, if anything, to be in better condition this year than last when he had some hamstring issues. I will go with the RRCA mogul, Mitchell 'Mitch' Garner to take the 3rd spot on the podium. Garner ran a 24:36 5K at Syracuse and recently completed a 52:34 10K at the Marine Corps Marathon. Late entry Tony Gingello, who finished just ahead of Learned at Syracuse, should challenge for 2nd and may well push Garner off the podium. 70-74 Doug Goodhue returns as the defending champion. last year's 2nd and 3rd place finishers, Przemyslaw Nowicki and Monte Piliawsky also are entered this year. Last year Goodhue broke the 70-74 record for 12K running 48:38, a truly remarkable achievement, but only one of many for the 'Silver Bullet' from Michigan. Nine-times the Age-Group Runner of the Year, including the last 8 years in succession, Goodhue has been unbeatable when not injured and has shown a remarkable ability to come back quickly from injuries. This has been a more difficult year for Goodhue than most but he is aiming to finish up with a bang. Sidelined for the first half of the year, Goodhue came back to win the age group at the USATF 1 Mile Run in Flint Michigan and the 5K in Syracuse. A little less than his usual speed, perhaps, but enough to get the job done with time to spare. He won the mile in 5:55 with 11 seconds to spare. His 20:06 5K at Syracuse was 24 seconds slower than his 2014 time but he still took the age group by more than a minute. A doubt arises from his decision to skip the USATF 15K in Tulsa. But most likely that just means he will be re-loaded and ready to go. In the meantime the 2nd and 3rd places are likely to involve the same two runners who traded the lead in the 15K two weeks ago and wound up only 4 seconds apart, Przemyslaw Nowicki and Paul Carlin (yours truly). Nowicki won silver last year at this 12K in 55:50, took 2nd at the 5K in Syracuse this year in 21:13 while Carlin, in the final stages (I hope) of rehabbing a hamstring was back in 21:45. At the 15K in Tulsa, things were closer with Nowicki taking gold in 1:10:54 and Carliin silver in 1:10:58. No doubt they will lock horns again and keep some pressure on Goodhue. Piliawsky who ran only 20 seconds slower than Nowicki last year in the 12K, is coming back from an injury as well. His USATF 5K time this year was 23:33, 45 seconds slower than last year. Presumably he will be closer to his usual fitness for this race. It would be a mistake to count him out of the medals. He is a tough competitor and will be running for team as well as an individual place. Another runner who may factor is Edward Smith who is coming back to USATF events as part of the Shore AC team after an absence of a few years. Hwe won the USATF 5K 70-74 championship in 2012 and came in a few seconds behind Nowicki (in 65-69 then) and about 2 minutes behind Goodhue. If he is close to that level of fitness now, Smith could be a factor as well. 1-Goodhue, 2-Nowicki, 3-Carlin. 75-79 Last year this age group was uncontested. It is a mark of its growing reputation that a number of classy runners have shown up this year to compete for the 75-79 championship. There is likely to be a classic battle for gold between the steady Shore AC veteran, Roland Cormier and Potomac Valley's John Elliott. Cormier just rolls along from one USATF championship to the next. He took 2nd in the USATF 8K at Brea in 41:38, 2nd at the 10K at Dedham in 49:48, 3rd at Syracuse in 23:57, and even made the trip to Tulsa where he took 2nd in 1:23:18. Elliott has been more selective although he missed Syracuse justt because of family responsibilities with the threat of Hurricane Joaquin. Nonetheless he ran a 52:53 10K earlier in the year, a 24:27 5K on September 19th, and took 2nd in his age group for the USATF 5K Cross Country race at Saratoga Springs in 24:12. Cormier had a terrific battle with Fay Bradley at the 15k, just losing out by 7 seconds. it looks like he may have another such battle this weekend. I am sure he hopes this one will have him coming out on top. It looks like Harlan van Blaricum should take third place. I am not sure if he has ben nicked up or jus tbusy with other atters. The only race he has run this year appears to be the USATF 1 Mile Championship at Flint MI where he ran 8:20. But he ran 7:45 in the same race in 2014 and ran 15K in 1:28:52. 1-Cormier, 2-Elliott, 3-van Blaricum. 80-84. Lawrence Dickerson of the Potomac Valley Club is the sole entry at present in this division.